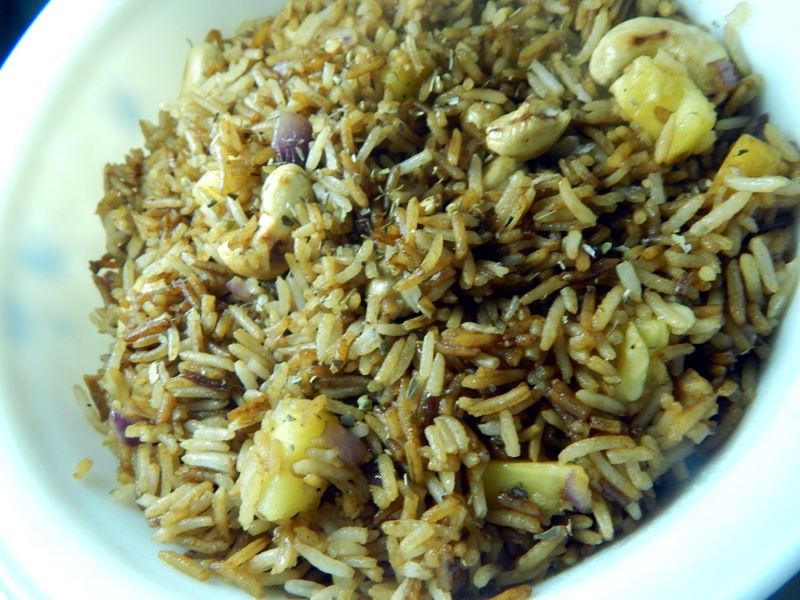 Tropical Cashew Nut Rice - Leo Tunapika? 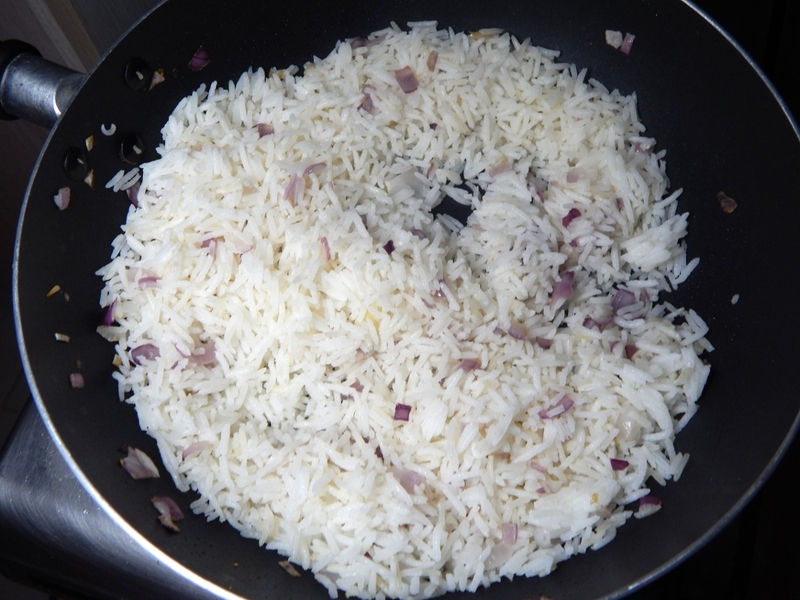 Leftover rice? Well I have the perfect recipe for you. 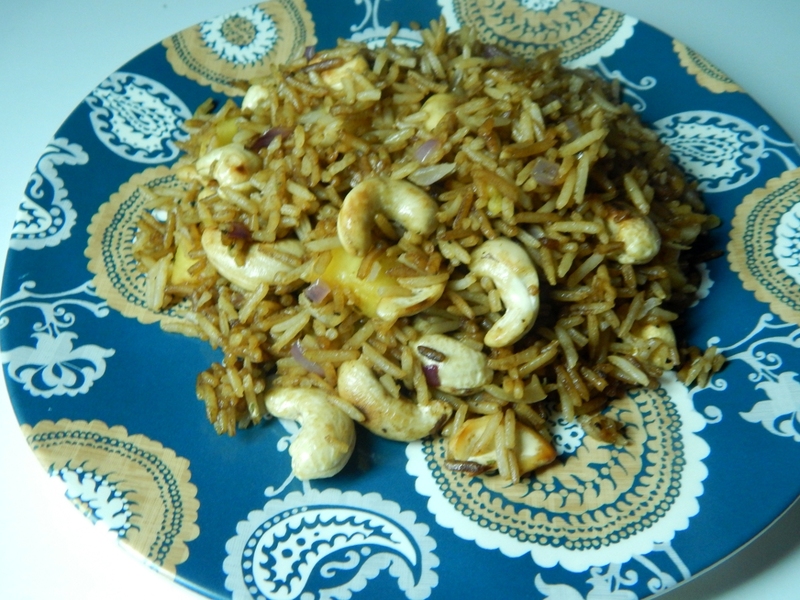 Easy to make, perfect for a quick dinner/ lunch. 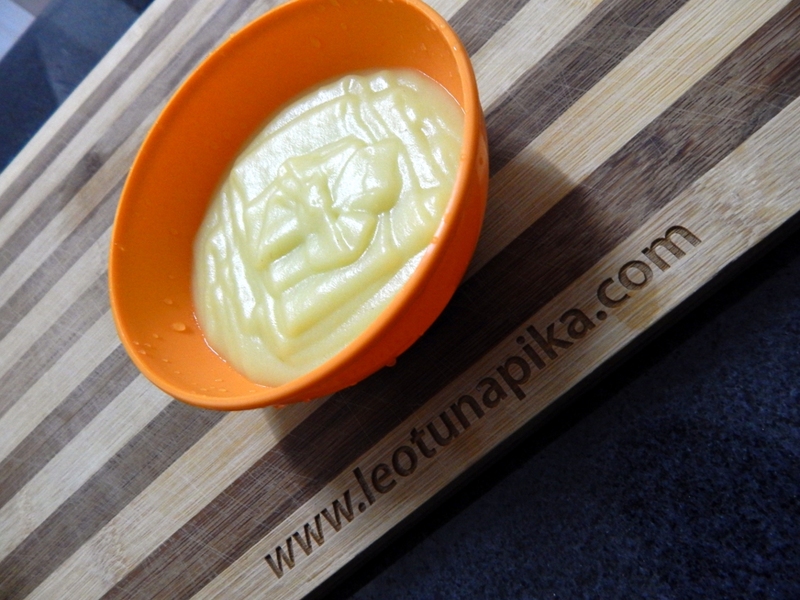 I had some pineapple on hand, the utterly delicious ones from Uganda, so I added them for that sweet kick. 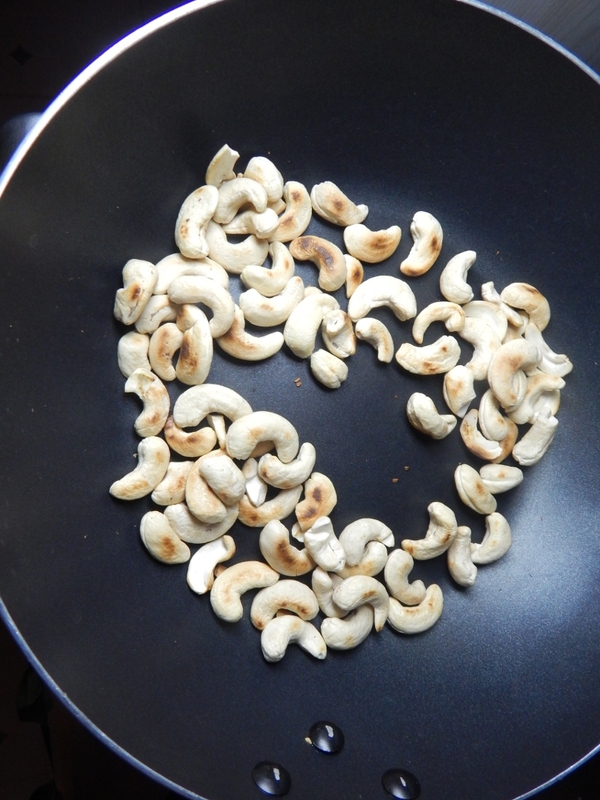 Heat up your wok or any wide pan and add the cashew nuts. 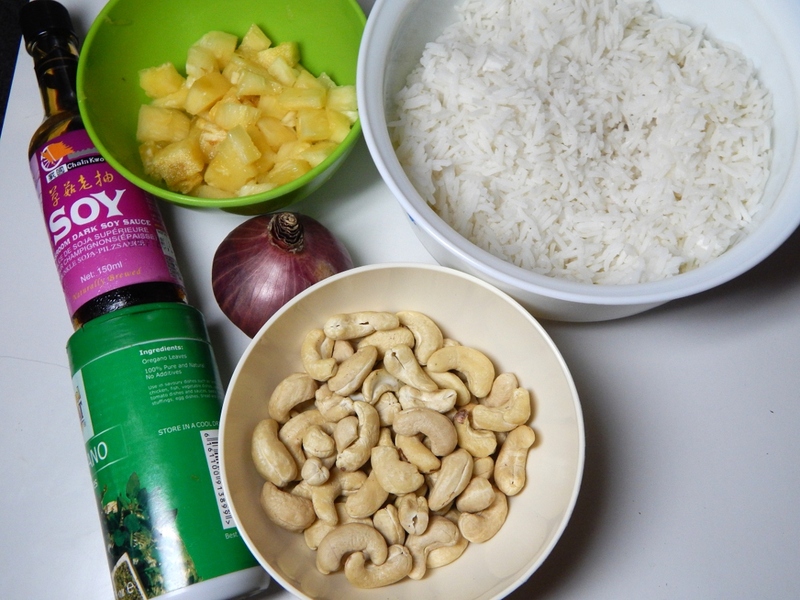 Keep tossing the nuts around to ensure they cook evenly. 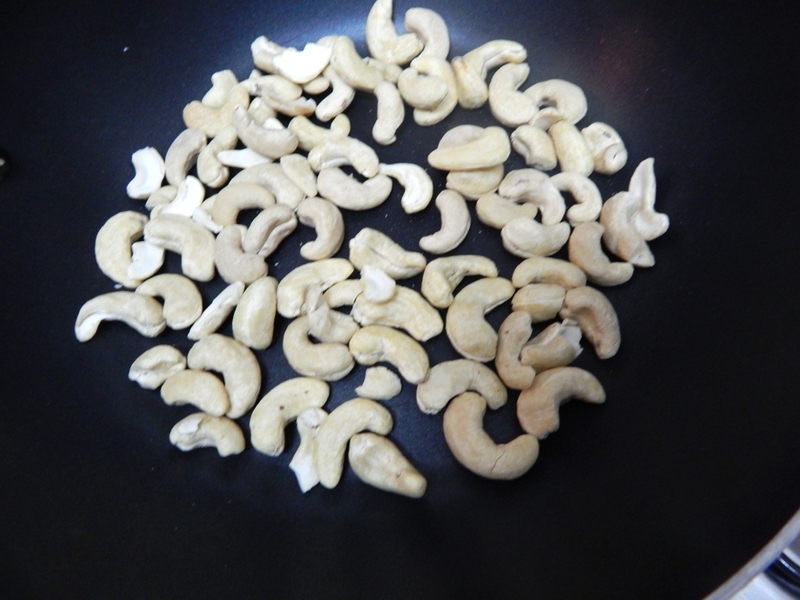 If you are using already roasted cashews you can skip this step. 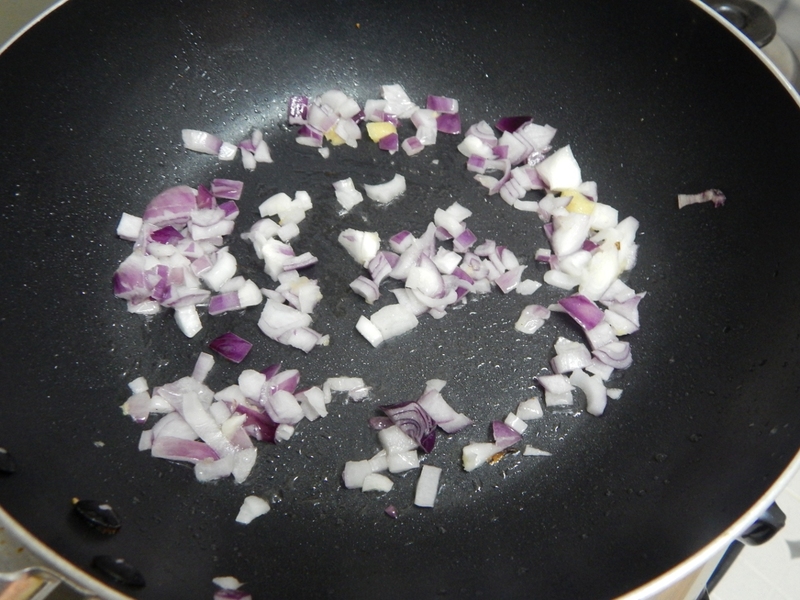 In the same pan add some oil and fry up your onions until translucent. 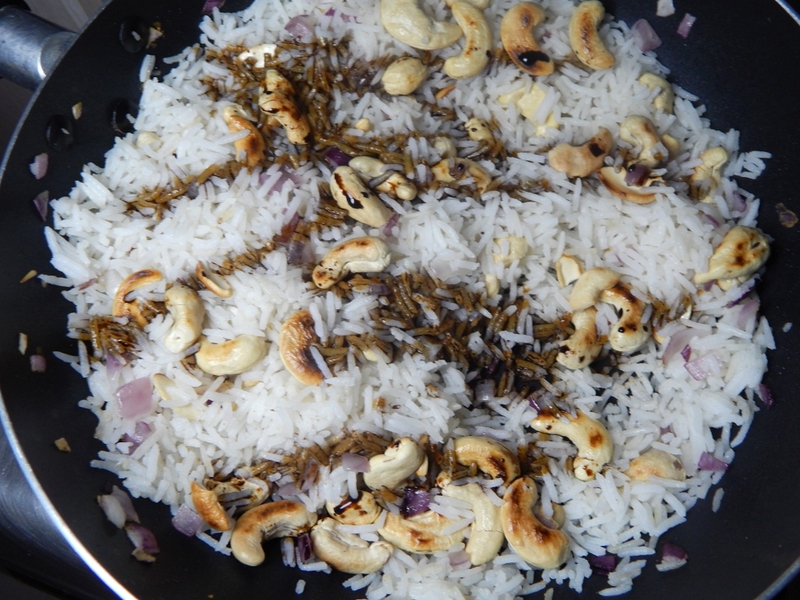 Add in your leftover rice, I had some coconut rice from the night before. I add that in and combined it with the onion. 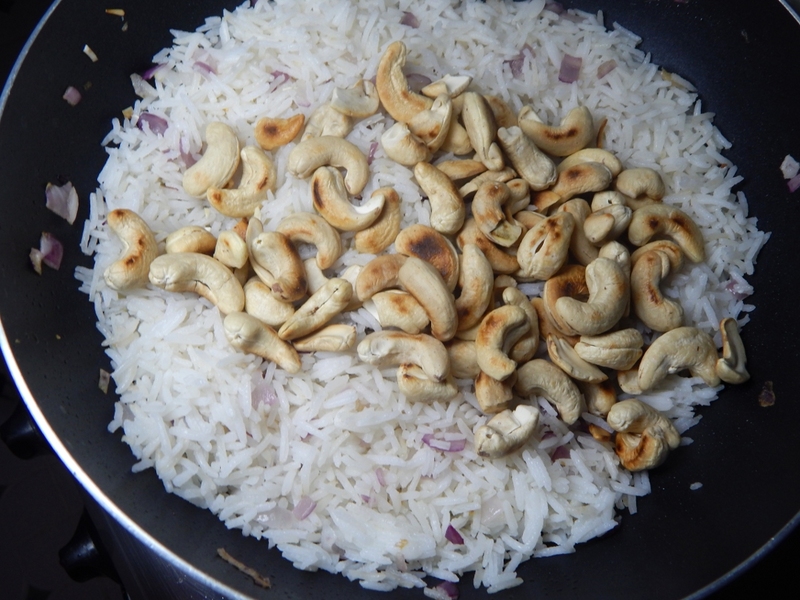 Keep stirring to ensure the rice gets warmed up evenly, once warm add back the roasted cashews. For the final touches, add in the pineapple cubes. 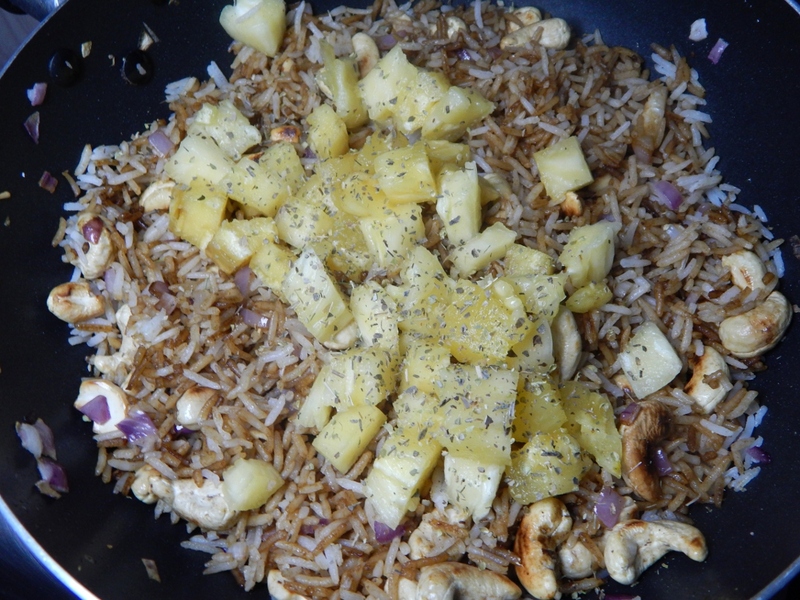 I sprinkled over some dried oregano just because I love what it does to pineapple. Voila, your meal is ready! 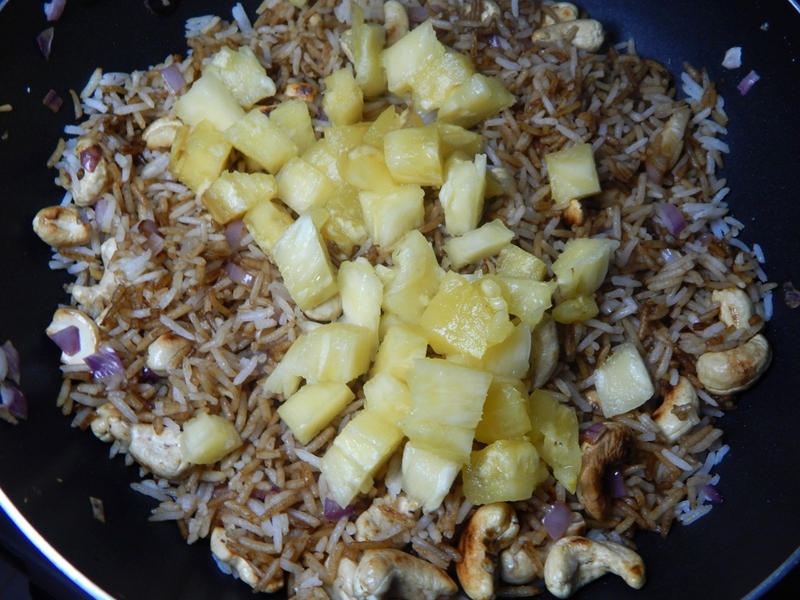 Toss in the pineapple cubes, sprinkle over the oregano and combine. Looks so delicious! 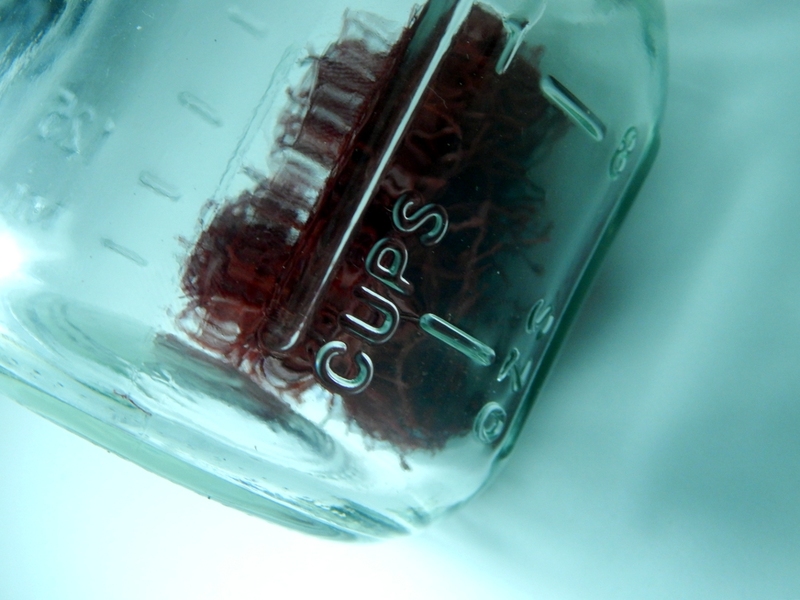 Easy to make too.The new look blog is fantastic! That was quite a well-put together instructional manual. I liked what you did with very simple ingredients to come up with a really classy meal. Hi Cate, Thanks for stopping by and for the kind words. 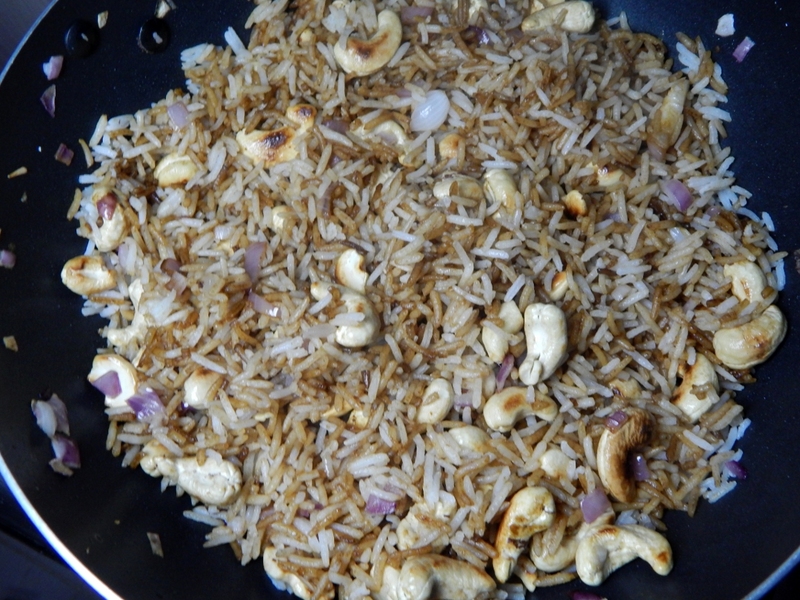 This is almost similar to “Nasi Goreng” alos known as fried rice, but yours has cashew nuts. Planing to make this soon. Hi Cheptoo, I’ll check out your blog. 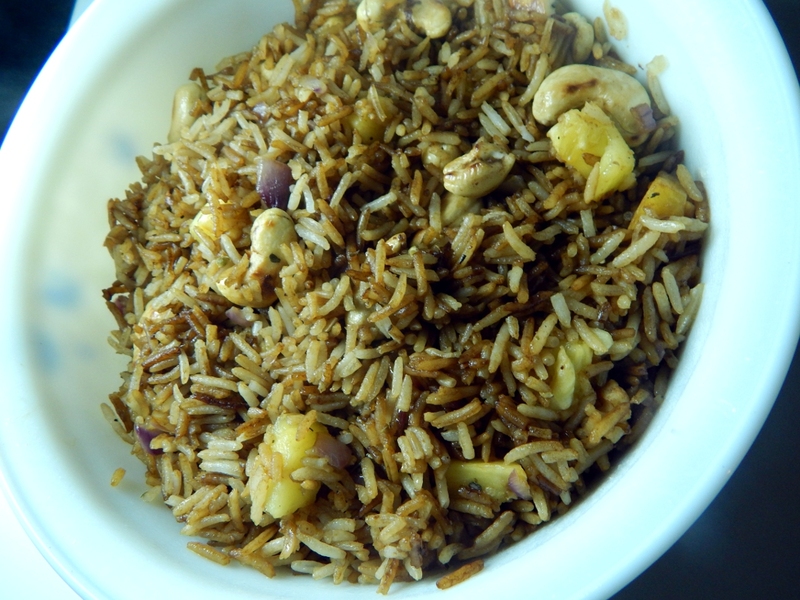 Pingback: Broccoli and Sausage Fried Rice - Leo Tunapika?